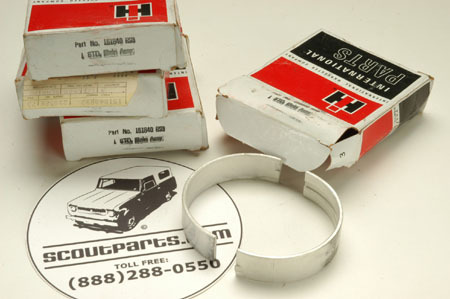 NOS main bearings that go around the crankshaft. Fits all IH engines. Part number 151840 R93.